Sarasota is a little slice of Heaven; full of culture, family fun, luxury resorts, beauty and respect for the natural environment that’s sometimes missing in other parts of Florida. Sarasota is known for its beautiful white sand beaches and the stretch in front of the luxurious Longboat Key Club is no exception. I had visited Florida a bunch of times. I had walked along the beaches of the Atlantic dipping my toes in the water, visited some of those amusing parks they have down there, had even eaten Rock Shrimp. So, admittedly, I had many preconceived notions and ideas about Sarasota, all of which were washed away on the 15 minute drive from the airport. In fact, in three days I got a little taste of the area’s diversity that left me wanting more and planning my trip back. I was traveling with my 14-year-old son, Devin. So first things first, we needed to settle in, switch out of our traveling clothes and ease into vacation mode. 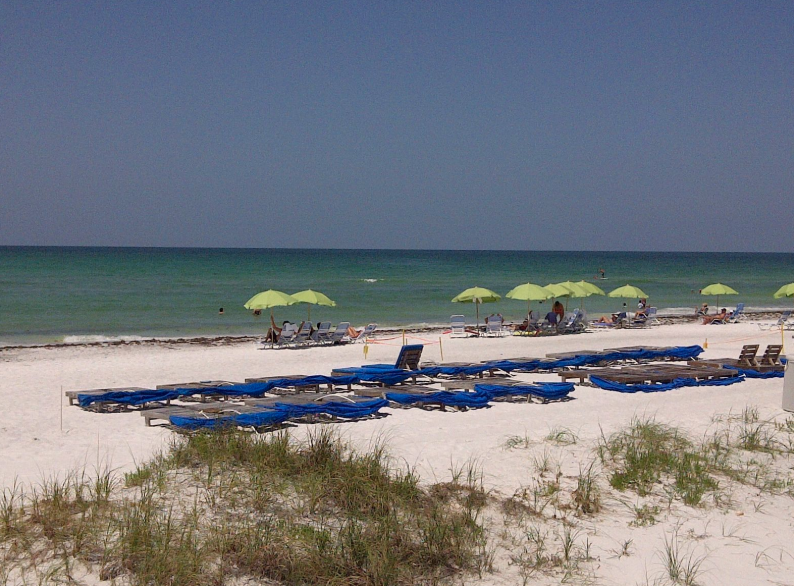 We stayed at the Longboat Key Club & Resort, a certified Florda Green Lodging. Our room had a very comfortable king sized bed and a pull out couch. The kitchenette was fully stocked with everything you could possibly need for making breakfast to a late night snack but with seven restaurants and lounges on site, we only utilized it for breakfast and late night decaf on the balcony overlooking the beautiful Gulf. There is so much to do at the resort; we really could have filled our vacation without a car. And if you come by boat, there are 291 deep-water slips to greet you. There was the exquisite white sand of the beach, with the Gulf water shallow and warmer than the pool. After a shell hunt on the beach we got to lounge on the shaded beach chairs. We rented stand-up paddle boards, rather than kayaks, giving ourselves quite the workout (500 plus calories an hour). That was a good thing too; with restaurant food that good you wouldn’t be surprised to see a few extra pounds on your scale. Greater Sarasota has many gardens and natural environments to explore. The first night we dined at the Tuscan inspired Portofino overlooking the Marina. The mixture of flavors was inspired, a salad with watermelon and honey coated pistachios, brick oven pizza that blended sun dried tomato with spinach and a balsamic reduction; and a tiramisu — which means pull me up — which should have been renamed pull me away. Again calories shouldn’t be a concern what with the resort having the top rated tennis resort on the Gulf Coast of Florida and being named a Top 10 Tennis resort nationwide. Devin got to experience junior tennis camp. The coach worked with Devin on basics and soon had him volleying. He thoroughly enjoyed being introduced to the sport and had seeds planted for a possible future passion. The resort focuses a great deal on Health and Wellness and while Devin was hitting the courts I checked out the fitness club. Wellness extends to all ends of the resort, with yoga on the stand and spinning classes indoors. I booked a treatment at the resort’s own spa, a luxurious and rejuvenating experience. The heart may be the largest muscle but the skin is the largest organ and thus should not be ignored, in case you need to rationalize the indulgence. If you are not as big a fan of the spa experience as I am, many of the services are available ensuite. If you are traveling with younger ones than Devin, there is a year-round Loggerhead Turtle kid’s club, where the kids ages 5-12 can enjoy supervised, age-appropriate food and fun. If Golf on the Gulf is more your speed, the resort is a Golf Digest “best place to play”. The part that got me the most is the environmentally friendly golf course technology the resort has implemented. Although this is a more expensive choice for rejuvenating their courses the resort is committed to their guest’s health and well-being, as well as that of their local Fauna. In fact all over Sarasota, we encountered that commitment to preserving and helping the environment, animals and plants that are now part of the region. On a grove tour at Mixon Fruit Farms in East Brandenton, we were surprised by a stop at a mini wildlife preserve. Just beyond the tangerines trees is a safe haven for injured or orphaned animals, like the albino raccoons that can’t survive in the wild and the pet Boa Constrictor that someone decided was too much responsibility and then let loose into ‘the wild’. This was the recurring theme during the trip, whether at Save our Seabirds, where the man who created the prosthetic dolphin tail in the movie “Dolphin Tale” has created prosthetic legs for sand cranes, or Big Cat Habitat, we have a responsibility to our planet and the creatures with whom we share it. The messages: No matter how cute a tiger cub is, it’s not meant to be a pet. A bird that lives 70 years might not be a great choice when you are 70 years-old yourself. Just because you didn’t mean to hit that sand crane with your golf ball, doesn’t make it any less of a threat to that animal’s survival. Sarasota steps up to this challenge and challenges the visitors to do the same because while being entertained and informed, the message is absorbed. At Mote Marine Aquarium in Sarasota, it’s easy to get up close to loggerhead turtles and other animals being rehabilitated there. This is the very thing that made the Mote Aquarium stand out as one of the most enjoyable aquariums I have ever had the chance to visit. Not only did we see manatees, but we then got to speak to the man making discoveries on how these fascinating animals use their senses. 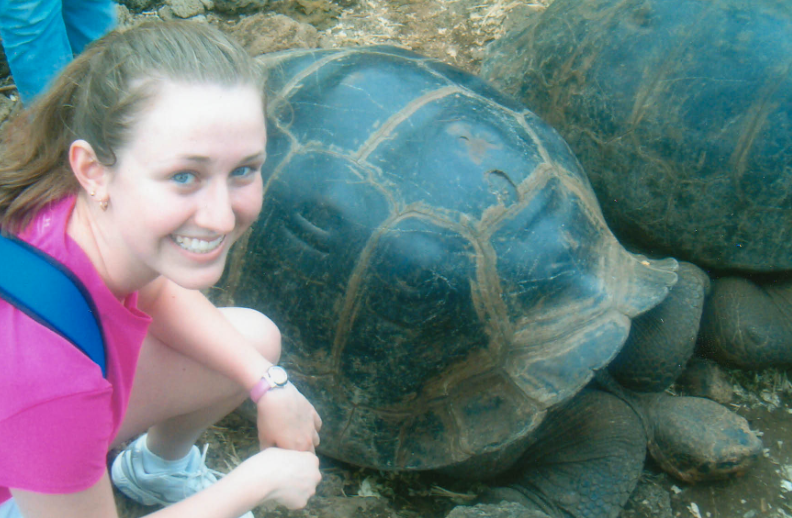 Mote has narrated training sessions with sea turtles and sharks! There is a preserved giant squid both cool and gross, and a seahorse conservatory. You will leave the aquarium with new knowledge and maybe even a new dream of becoming a Marine Biologist. Try to fit in the clown car or see how you size up against a life size model of a Bengal Tiger. To be honest, I thought I was going to hate the circus museum and want to run to the art museum, but I was wrong. I loved it, everyone should see it. One building houses the train cars that made up John and Mable Ringling’s traveling home, with all the comforts and trimmings. But the most mind blowing part is the world’s largest miniature circus. It took Howard Tibbals 50 years to make, from thousands of photographs of Ringling Bros. and Barnum & Bailey Circus from 1919–1938. Train cars, mess tents, animals, clowns, a three ring circus, posters, venders, animals, side shows and more animals, over 50,000 detailed pieces of art that took a year just to install. Give yourself lots of time and bring a camera. 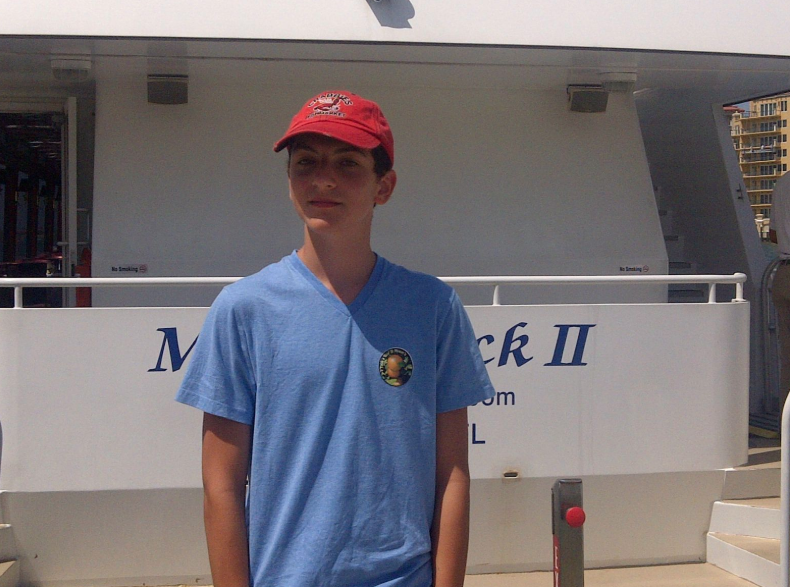 Devin loved having lunch aboard a sightseeing cruiser off the coast of Sarasota. 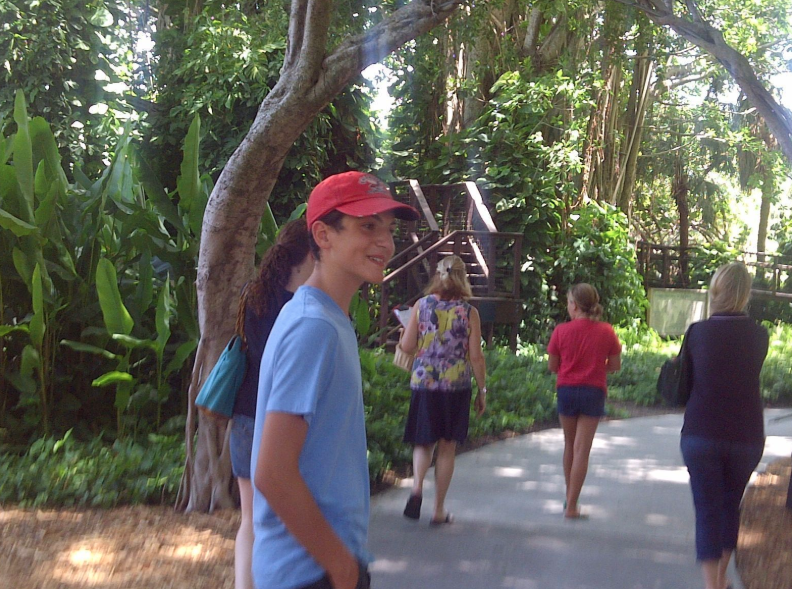 There really is so much to explore in Sarasota, it is very dependent on your family’s interest. Young naturalists will want to check out the Mary Selby Botanical Gardens; performers will want to visit the multitude of theatre, opera and ballet Sarasota has to offer; shopaholics will want to enjoy window shopping in St. Armand’s Circle, while being entertained by street performers (The Garbage Men, kids who made all their instruments from garbage, including a Cheerio ox Guitar). Another must-see activity, eat and sightsee: Marina Jack II Sightseeing Lunch or Sunset Dinner Cruise, that takes you through the intracoastal waters and the Gulf of Mexico. The food is average but the sensory experience is not to be missed and yes, we spotted a dolphin. For the foodies in the family, there are wonderful choices for every taste and price range, from Nancys Bar-B-Q, finger licking goodness to the the tropically-themed restraint Gecko’s Grill & Pub, that gives kids their own complimentary gecko with every meal (don’t worry it is not real). I live in a beach community, 20 minutes from an aquarium, 90 minutes from N.Y.C., so as I said I wasn’t expecting to be surprised but with ooh’s and aaah’s beyond every corner, I was very impressed.